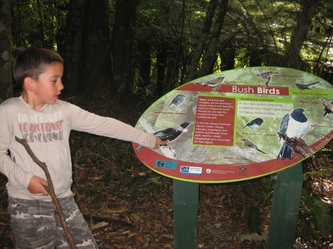 The Pest Control Programme in the Tikitapu Reserve is part of the Ōkareka Mistletoe Restoration Project, a combined project with Rotorua Forest and Bird, Rotorua Botanical Society (Bot Soc), the Department of Conservation (DOC), and Bay of Plenty Regional Council (BoPRC). The objective is to control weeds and pests in the area to protect the rare native mistletoe that is present, and to encourage regeneration of the bush and an increase in the bird life. Forest and Bird, have together with DOC and BoPRC, undertaken the pest control while Bot Soc attend to the weed control and new plantings of host plants for the mistletoe. 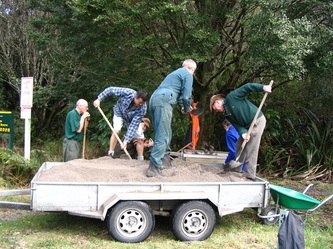 Forest and Bird’s work commenced in 2002 with the marking and cutting of lines down the Ōkareka end of the reserve, in preparation for commencing baiting in 2003. 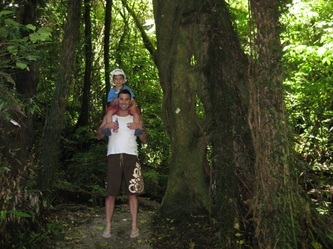 Since then the area has been extended so that it now covers the entire reserve on the north side of Okareka Loop Road between Ōkareka and the Blue Lake. The bait station spacing was 50m x 50m at first with just a few lines at the Ōkareka end. It is now 100m x 100m throughout the reserve after a trial comparing one area of 100 x 100 with another of 100 x 50. Little difference was seen in the results and by reducing the stations $443 was saved in bait. Both rat and possum baiting has greatly reduced the numbers of pests present, as indicated by the rat tracking and possum trapping or wax tag monitoring pre and post baiting each season. However, by the start of the next season’s baiting, the numbers are back up again, proving that this is an on-going project, with infestation taking place during the months baits are not out. Despite this there is a noticeable increase in the bird life in the area and the bush is showing signs of regeneration. In 2007 - 2009 Doc gave permission for TF&BCG to take part in a BoPRC trial using a combination of Pindone and Feratox (cyanide). This is now approved for use on DOC land and we have continued to use these toxins. This year (2013) we are considering using feratox strikers in place of the capsules in the hope they may be more accessible for wallaby. Monitoring is done with trakka cards for rodents and we moved to using waxtags for marsupials in 2011. 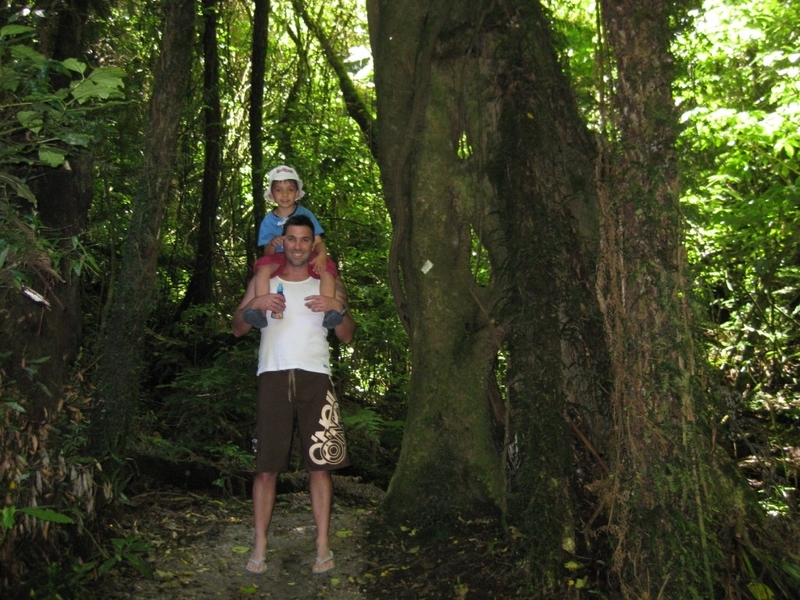 The Mistletoe Walk and Nature Walk were opened in 2008. A roster system is used to keep these tracks checked and maintained. We continue to have an MOU with DOC and are also a BPRC Care Group (Tikitapu Forest and Bird Care Group). 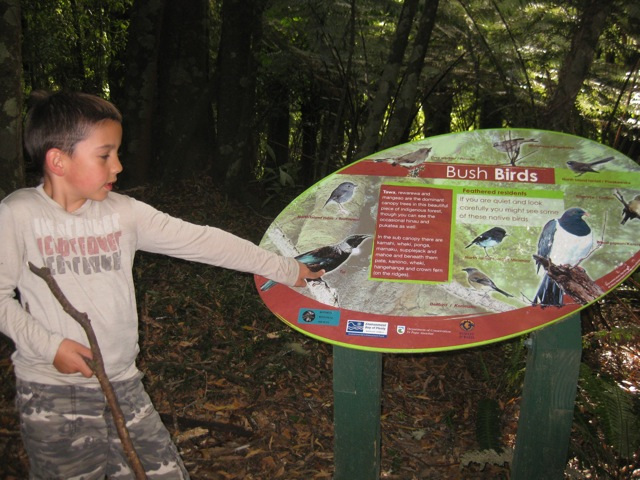 A Biodiversity Management Plan was signed off with BoPRC at the end of last year. Bird counts have been done over the past couple of years and although they have not been going long enough to show scientific results the local residents report an increase of bird life and bird song in the area. A foliar browse remeasured was done in February. The results are still to be compiled but the general observance is an increase in mistletoe and its spread into the centre of the reserve from the areas at each end. The bush is also healthier. ​Trimming Lines, checking stations etc.